Today, I had the honor of speaking to some of the students at North Cove Elementary School. 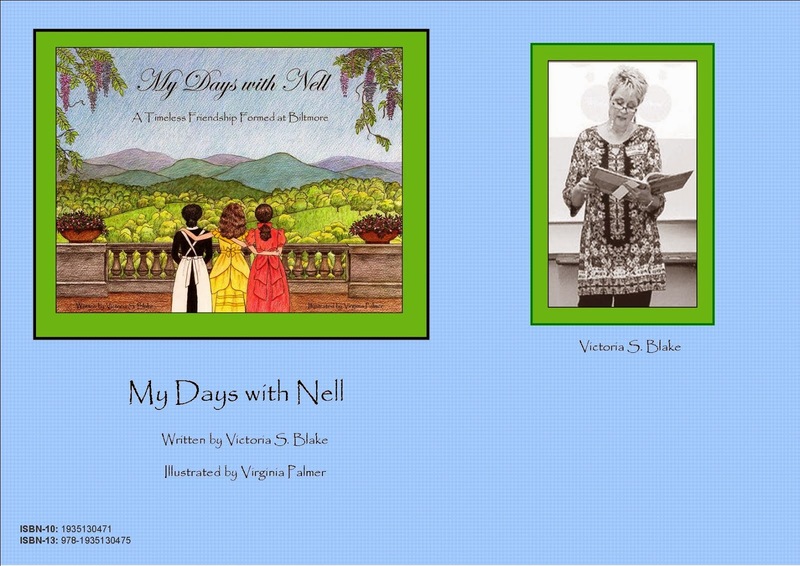 At the invitation of Mrs. Penny Jackson, Media Coordinator, I spoke to the third grade students about The Biltmore Estate and "My Days with Nell. "I presented the writing process to two different third grade classes and we discussed the Pre-Writing, Drafting, Revising, Editing and Publishing stages of writing. I believe their awesome teachers have previously worked with them on this process for they seemed to be familiar with the concept and responded positively to the questions I asked and topics we discussed. These youngsters had recently visited the estate and had some interesting questions from their field trip. It was obvious they had listened intently to their Biltmore guide and had time to digest what they had learned as they were ready to "dig a little deeper" for more information. We also had a brief question and answer time that basically revolved around the present restoration work on the North Tower Ridge cap on the Biltmore House roof. It is a huge undertaking and will be gorgeous when it is restored to it's original color and beauty. I spoke to the North Cove fourth graders about the Historic Carson House. I shared a brief presentation on the history of the John Hazzard Carson family and shared the plot and book summary of "Treasures of My Heart." They are very excited about visiting the Historic Carson House next Thursday. I was only able to skim the surface of all the Carson House has to offer in intriguing stories. They are certainly in for a treat on this field trip. I am so proud of the North Cove Elementary teachers for planning field trips to these two historical Western North Carolina places. They are opening up a new world to these students and encouraging and introducing history in an exciting way. Talking about these houses is informative but to see them in person takes learning to a whole new level. Field trips are not an easy day for educators... I know, I have been on many! But it enriches the learning experience for the students in a way that a simple lecture on the subject can not possibly accomplish. So, "Yay, Teachers!" I loved visiting with these third and fourth graders. Both grade levels were well behaved and asked wonderful, pertinent and thought provoking questions. I appreciate the opportunity to visit North Cove Elementary and am appreciative to Mrs. Jackson for the invitation. I am always welcomed into their school as a friend and made to feel right at home! They also fed me a delicious lunch! Good things are happening at North Cove! So proud of all of our McDowell County Schools!